Three years ago I wouln´t have looked twice at a Dixieland record. 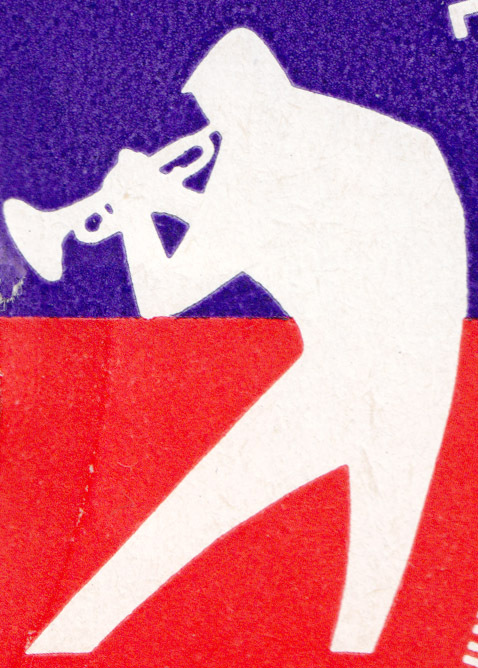 But then I found some Dixieland/Trad Jazz 45s from the early 50s to early 60s and started to like them. So far I haven´t met anyone who shares this interest and so far nobody snatches those 50 cents records up before I do. But it also means no communication. Punk, garage, indie or 70s rock record collectors still talk music in record shops all the time, but not Jazz fans. There might be some Dixieland fans out there, but they don´t hang out in record stores and probably just buy CDs on Amazon. But that´s all fine with me. When I buy 45s by Edmond Hall, Bunk Johnson, George Lewis or Sidney Bechet, I do it unsupervised and without any competition by other collectors. Right now Dixieland means worthless. Nobody seems to care for this stuff and that goes double for 1950s Traditional Jazz groups from Europe and triple for anything that only loosely had the Dixieland tag attached to. 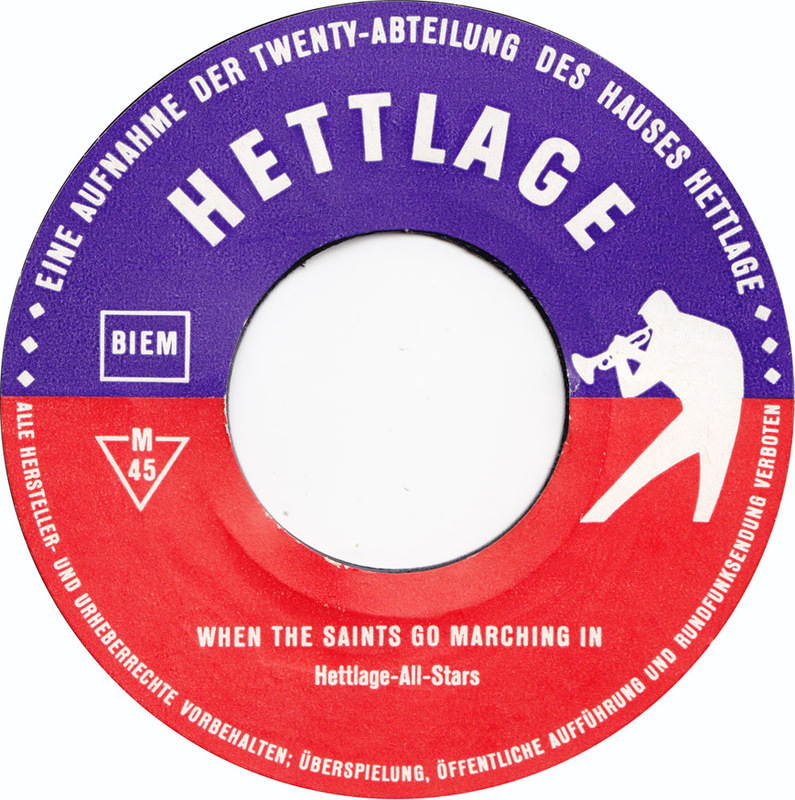 Like this record by Hettlage-All-Stars. Hettlage, founded in 1896, was a German clothing retail company that went bankrupt in 2004. 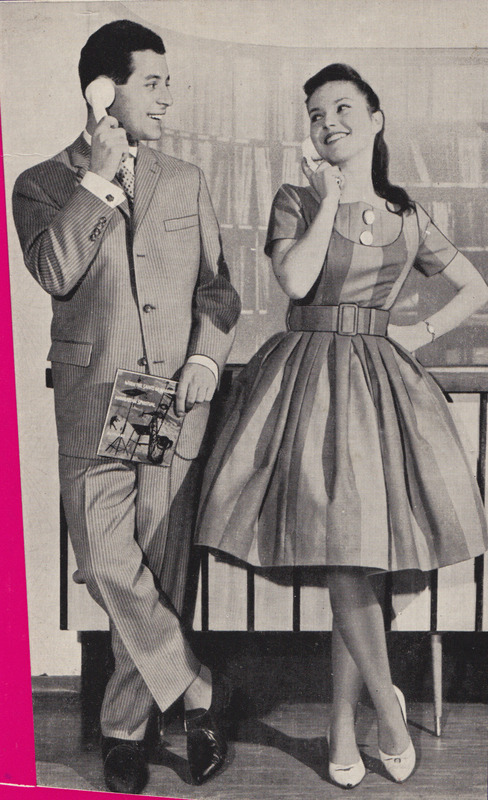 In the 50s, when they were still doing good business and operated a number of clothing stores, they chose teenager´s favorite product, the 7″ record, to advertize their new Twenty clothing line for teenagers. 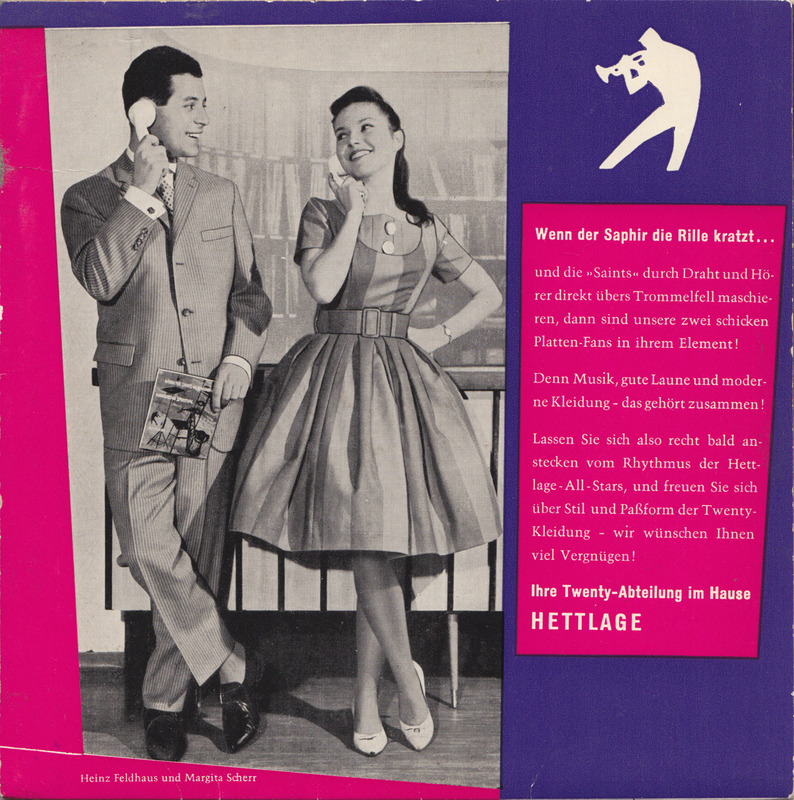 They could have put some Rock´n´Roll or simply Schlager songs on the record but they decided to put two Jazz hits on a very thin piece of plastic and to make the package look a little cooler, opted for a thick cardboard sleeve and a design that incorporated an abstract painted for a background, some stylized musical instruments and a silhouette of a trumpet player on the label, that is reminiscent of the logo that David Stone Martin designed for Noman Granz Clef label. I love that you include images of all the packaging as well as the music. These old graphics are wonderful! 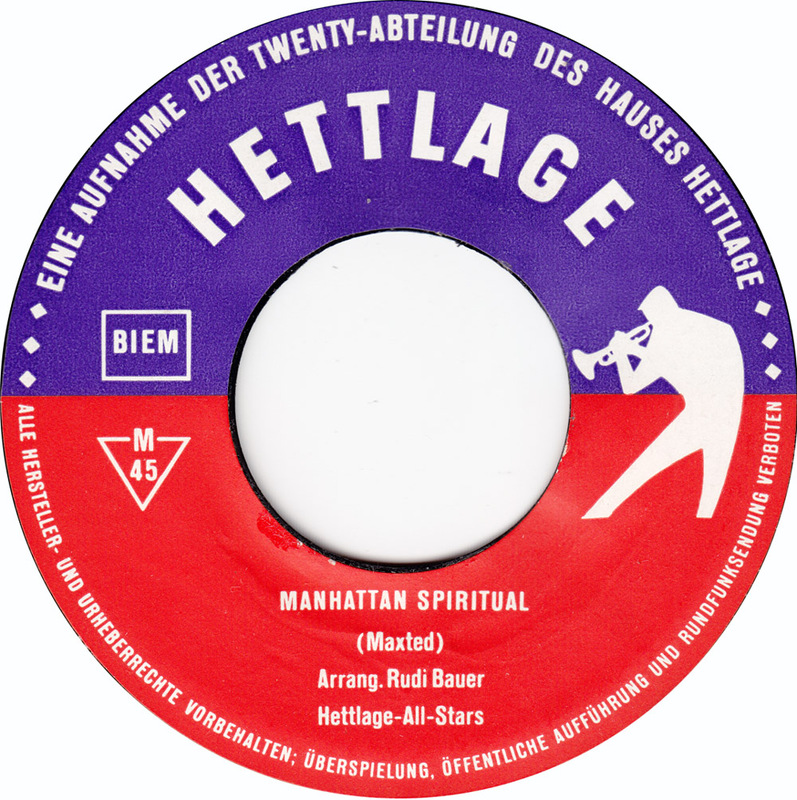 I am trying to find more information on the Manhattan Spiritual song. I have to write lyrics to it for my vocal exam and have to explain a little about the background of the piece, but I can’t find any information about it. Do you know where I could find something? Billy Maxted (January 21, 1917, Racine, Wisconsin – October 11, 2001, Ft Lauderdale, Florida) was an American jazz pianist. Maxted started out playing and arranging for the Red Nichols big band from 1937 to 1940. He worked Ben Pollack, Teddy Powell and Will Bradley. He was a fine pianist and arranger. After serving in the Navy he provided arrangements for Benny Goodman and Claude Thornhill and co-led a band with Ray Eberle (1947–1948). His composition “Manhattan Spiritual” was a top-10 hit for Reg Owen in 1959. Technically I would say the song is big band swing instrumental from the 1950s. Other than that, there´s nothing more to know about. Have fun with the lyrics! I had also found some things about the composer but nothing about the background of the actual piece which is what they are asking. I do like the song, but I think the only special thing about it would be that it is a swing instrumental from the 1950s. Swing music saw a sort of a revival in the late 1950s and 1960s. Today, this music is sometimes referred to as easy listening. It was, in essence, an updated form of the big band swing music that had been popular in the 1930s and 1940s. Sorry, but that´s all I know.